Dr. Kevin Jordan, former director of the Educational Opportunity Program (EOP) at FSC, has been named the College’s new Chief Diversity Officer. Dr. Jordan will join the President’s Cabinet, overseeing the implementation of campus-wide diversity and inclusion initiatives; compliance with state and College policies; promoting the recruitment of diverse applicants; and training staff on affirmative action protocols. 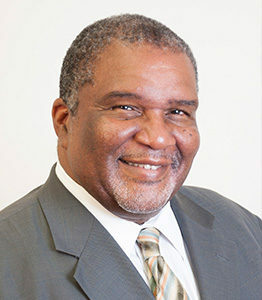 Before joining FSC in 2016, Dr. Jordan was Assistant Dean for Student Development and Campus Life at CUNY LaGuardia Community College, and before that, Dean of Academic Support Services at Dowling College.His background includes management roles and oversight of multiple student support programs, such as Higher Education Opportunity Programs and Federal TRIO Programs. Dr. Jordan is an alum of Princeton University, and holds degrees in psychology and African-American studies. He studied practical theology at Union Theological Seminary, and earned a doctorate in Educational Administration, Leadership and Technology from Dowling College.